BIMM Pune is a B-School with a difference – a B-School with courses approved by AICTE, Ministry of HRD, Govt. of India, that works 24 x 7 x 365 to procreate dynamic student managers who can easily adopt to the challenging Industrial environment. BIMM has produced highly successful managers who are managing critical and important positions globally in important and prestigious companies. This, we ensure, not only through a comprehensive course curriculum taught by eminent faculties but also through practical exposure to the industry. 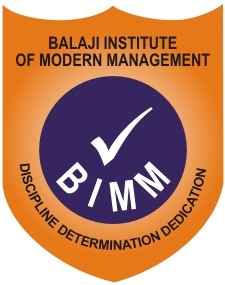 Balaji Institute of Modern Management Mission To build one of the most reputed institutions which would be respected by students, parents, alumni, industry and the entire society. BIMM Ranked 24th top Private B School in India. Source- Careers 360, November 2015 Issue.